Here’s the straight talk – no pun intended! – from Adam himself about his role on Glee! Adam will debut on Glee on the November 7th episode. We’re all waiting with GLEE! Too much?!? I simply cannot wait. I don’t care what Adam does, he gives it his best & I for one love everything he does. He’s different, unique, talented and with all that said “the sexiest man I have ever seen”. He’s got me hook, line & sinker. Don’t mind going down with Adam! Jackie…You said it “ALL”! Adam is totally genuine & I know that cause I have met him here in Vancouver B.C. at his concert Meet & Greet! He talked to me like I was the only person in the room at that moment & nothing could be farther from the truth at one of these events! He is beyond talented, can sing like a angel & “YES” the sexist man I have ever seen to date…singer, actor, or other….”PERIOD”! I can’t get enough of Adam…NEVER, EVER! This spot on Glee is driving me “WILD”…and I too can’t wait. I love Glee… BUT this is over the top EXCITING! My wish is that this allows many more people to see his amazing talent & persona for what it really is…..Superstar spectacular! I agree with Michelle & Jackie!!! 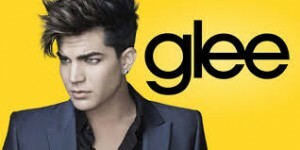 I can’t wait to get my ” Adam Fix” on Glee! I loved the interview Adam gave–what an upbeat personality!